Beauty blog where you can find out about the latest beauty trends, product reviews and beauty insider Q&As. Even though I’ve built my career in marketing, always working at least 6 months to a year ahead on product launches, I still reject the concept of Christmas in August. And yet that’s what Selfridges do every summer with their Christmas Shop, offering baubles and snow globes 145 days ahead of Christmas. But now that we’re actually racing our way through December the present buying pressure is on and I’m ready to face the music. So to get into the festive spirit I’m delighted to review Fushi’s Heavenly Rose & Jasmine Complete Bodycare Collection, which the brand kindly sent me to trial. What I first noticed about this gift set was the packaging – as often is the case, this tends to highly influence your first impressions of a brand or product. The colour palette is bright and colourful, featuring what I’d consider to be unusual colours for this time of year: light turquoise, burnt orange and a warm Mediterranean yellow. Sliding the sleeve off reveals four natural products nestled in bright yellow shredding. Featuring a body wash, body lotion, body oil and face oil, all bodycare products are lightly fragranced with a delicate floral scent of rose and jasmine, and suitable for all skin types. I discovered Fushi thanks to its Organic Rosehip Oil which I reviewed in How to Create a Spa Experience at Home. The brand takes its heritage from Ayurvedic family recipes, specialising in organic cold-pressed oils and infused herbs and hand-blending them in their London workshop to offer natural beauty products. This 50ml glass bottle is packed full of nourishing ingredients, from sweet almond oil to shea butter and sandalwood oil. The scent is light, floral and slightly citrussy so not overwhelming and the formula sinks into skin leaving it feeling super soft and velvety smooth. I like to use this oil post shower at the weekend when the morning routine isn’t manic and I have – just about – time to properly massage it into skin. I may have already mentioned that body washes and shower gels don’t feature high on my list of beauty luxuries. Somehow it seems such a functional product (in the same category as a deodorant or toothpaste) that it takes much more to get me excited about it. Fushi’s offering though does a good job of making a body wash feel a little more luxurious. Enriched in passion fruit oil and marigold flower extract the delicate scent does get a little lost in the steam but the formula lathers up pleasantly. My favourite aspect of this product is the sustainable glass dispenser which once emptied can be refilled with 150ml of body wash of your choice – maybe Fushi’s Bringer of Peace Herbal Body Wash for a change. As with any reusable dispenser just make sure to regularly clean the pump and nozzle to avoid dirt build up and – ugh – mould. A classic tip from anyone who knows a thing or two about fragrance: layering beauty products with the same scent will make the fragrance last longer. This indulgent body lotion is a great follow up to the body wash, with a slightly more cocooning yet herbal scent coming through. Highly nourishing but quickly absorbed by the skin, I use this in the evening as it won’t smear all over bed sheets. Containing calming lemon balm, cocoa butter and coconut oil, it seems like the perfect blend to go to sleep with. As with the body wash, the body lotion is housed in a 150ml glass tinted dispenser, meaning you can proudly display the pair in your bathroom for an apothecary-inspired look. I’ve been discovering quite a few face oils recently (as reviewed in Top 5 Natural Facial Oils for Healthy Skin), and with this skincare category having a bit of beauty moment I doubt this’ll be the last. As a face product Fushi’s BioVedic™ Radiance Face Oil is the only item in the gift set to be unscented. The 10ml bottle gives you the opportunity to try this new oil before the brand officially introduces its new collection of skincare – watch this space. The lightweight formula features baobab, cherry, rice bran and jojoba oils to name but a few, delivering nourished and velvety soft skin. Available at £35.00 this feels like a good price point for a beauty gift set, with generously sized products and bright packaging that will ensure it stands out from the crowd. What’s on your Christmas wish list? Leave a comment below to let me know. Hello! 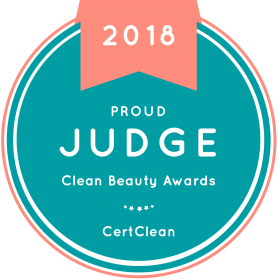 I aim to share beauty knowledge from the inside, with a focus on organic, vegan and cruelty-free products, from natural skincare to niche cosmetics.